I came across this article today and I read every word, something most unusual for me. I wanted to expand its’ reach so I am bring it to you here. I hope you enjoy it and please do feel free to leave a comment about this controversial issue. Who doesn’t talk to their dog or cat? C’mon, admit it – we all do it. Some of us talk to them as if they can actually understand us (I’m one of those). Others talk baby-talk because their pets are little kids, to them. Still others use their pets as a sounding board after a tough day, or when life is throwing rotten apples at them. The thing is – most of us think our cats and dogs do understand and do have empathy. How true is that? Do pets feel what we feel? And, what about the ability to connect to them thought-to-thought? Over the weekend our local paper had a lengthy article about “animal psychics” – citing the practice of “animal awareness” being practiced by veterinarians these days. The thought is that the strong human-animal bond has created this new practice, and that interest in “inter-species communication” is growing. The pet psychic who was called in apparently hit it off with Moby – something the dog’s parents say is very unusual. The dog put his head in the psychic’s lap and she reports that she received images of “green beans.” Moby, apparently, wanted more variety in his diet. He gets green beans now and he cleans his bowl! I always wanted to talk to a pet psychic about Carmie, my Shepard/Lab, who went over the Rainbow Bridge over a year ago. She spent several years annoying a lick granuloma on her leg – and I got so frustrated over it – I sometimes got a bit stern with her. Then, I got the idea of putting a sock on her leg, and the problem resolved itself. Her leg healed, she liked her sock (at least, I think she did), and life was good. Until she got sick and passed. At any rate, I do believe in the human-animal bond. I do believe our pets like it when we talk to them. I don’t know how much they really understand – of the words. But, they can sense what our mood is by our voice and our body language. And, that’s what they respond to. If we can do the same – learn more about what they feel and think, it’s all good. I see it when my other daughter talks to her cats and they listen…maybe it’s just because they like the sound of her voice, I don’t know. I will tell you that my two Cavalier King Charles Spaniels don’t always need me to say anything. I can simply think “I’m going to the garage” and they are up and at my feet before I can get to the door. I can think “it’s time to feed the babies” and they are up and moving the sound of feet on the hardwood floor getting into their appointed place where they are fed.I almost forgot to mention that in past times they needed to hear the jingle of their harnesses and leashes before they got excited. No more. Today all I have to do is think it and they are ready and waiting at the place where their harnesses are kept. This then would be my reasoning for thinking that some with intuitive minds may actually be able to sense what a pet is wanting to communicate. On the other side of the issue, it all sounds all too easy to come up with something, as a psychic, that might or might not work for your pet. And, by the way, green beans were recommended to me by a veterinarian once. Dog love them. No need for butter, salt, bacon or anything. Simply mildly cooked they make a great diet food. 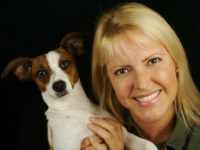 Are animal psychics real or just a notion. Time will tell. Give us your opinion or tell us your story. I think other web-site owners should take this web site as an model – very clean and magnificent style and design, as well as the content. You are an expert in this topic! My thought is, “Yes, and yes.” Sometimes real and sometimes just hopeful. Would you say that two humans with no shared language are unable to communicate? Of course, not. Communication skills do not generalize across any population equally. Not for humans, not for canines, and not for equines. Extraordinary communication is a function of extraordinary relationship. I have had two dogs with whom I spoke full-sentence English. No communication issues. They were also amazing relationships built over time. My goal with horses is to only have to think what I want. Sure, I know there are small bodily changes that accompany thought, but it’s all communication. Pet the kids for me, Bill. .-= Lynn´s last blog ..What, me worry? =-.